This Absinthe is distilled in France. 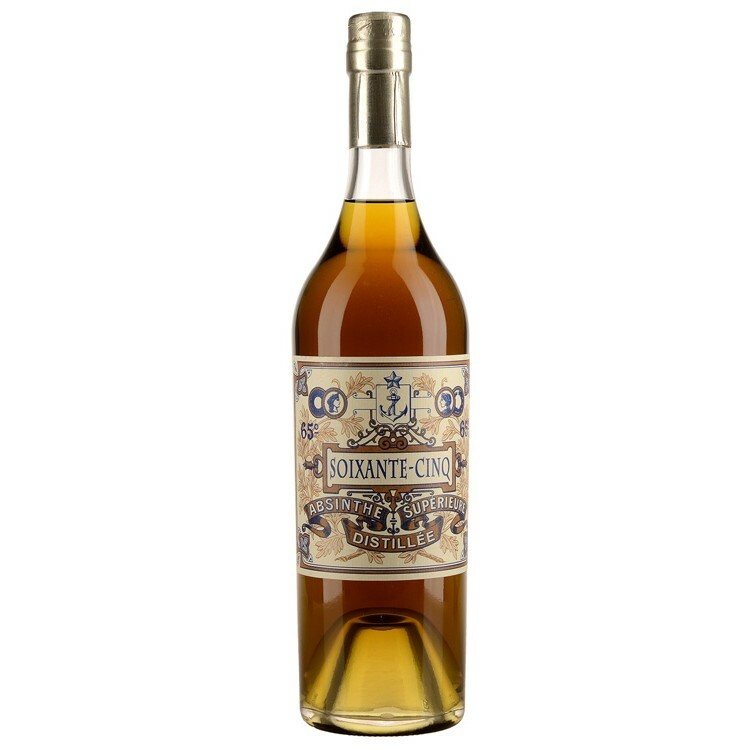 Absinthe Soixante Cinq has a wine alcohol base, which results in a fresh, fruity and lovely taste. Its Absinthe recipe is classic and the coloration is natural. When you are looking for a decent authentic Absinthe with a good price/quality ratio, this one is your choice. This Absinthe is distilled in France. 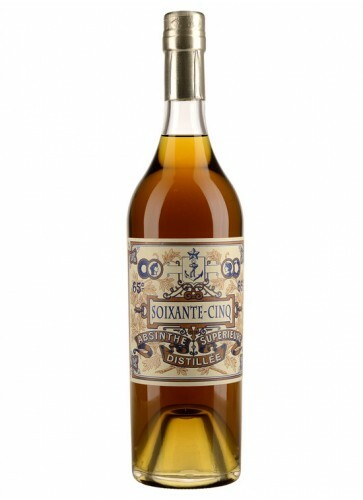 Absinthe Soixante Cinq has a wine alcohol base, which results in a fresh, fruity and lovely taste. 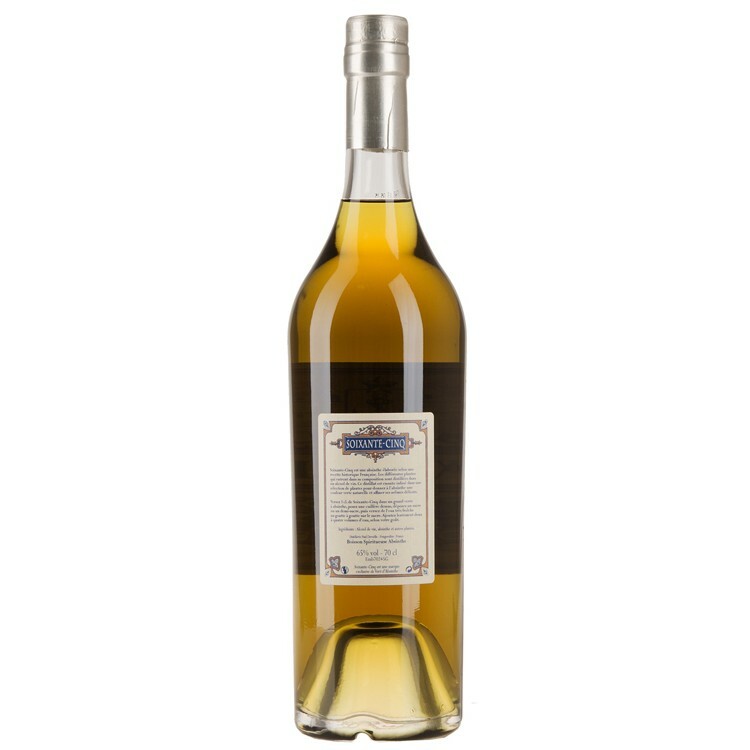 Its Absinthe recipe is classic and the coloration is natural. If you are looking for a decent authentic Absinthe with a good price/quality ratio, this one is your choice. In the following video you can see, how the traditional French Absinthe ritual works. We recommend to drink Absinthe Soixante Cinq according to this traditional Absinthe ritual. I really enjoyed this absinthe from the first sip to the last one, like one of my friends did, invited at home for tasting the new arrivals from Alandia. No sugar needed, in my opinion. Thanks for the perfect timing of my order! I've tried several absinthes so far and this one is certainly something very different... in a good way. The wine base really does give this absinthe a slight sweet edge; I think I don't even have to use any sugar with this! Surprisingly easy to drink due to somewhat tame levels of bitterness but this does not devalue the spirit at all. The overall flavor is well balanced and the fact that I was compelled to write this review in the first place only serves to signify how good this stuff is, in my humble opinion. Recommended all the way. This is a very good French verte. The aroma has some notes I can't quite put my finger on. The color is a beautiful emerald green and the louche is fast forming and quite thick and layered. It has a well rounded flavor where no one herb stands out or overpowers any other. The wine base does give it a slightly sweet, fruity taste. This is one I will be getting again!